Coachella the Californian festival of the year brings out the inner fashionista in all festival-goers. Fashion truly meets music in the desert! Although Nicole Richie did not attend Coachella this year her lines certainly made a fashionable appearance at the woodstock inspired festival. 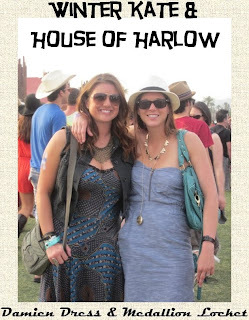 Two ladies rocked at the festival, one wore the 'Damien' dress by Winter Kate and the other kept it simple and opted for the House of Harlow 196 Gold Medallion Locket to complete her look. 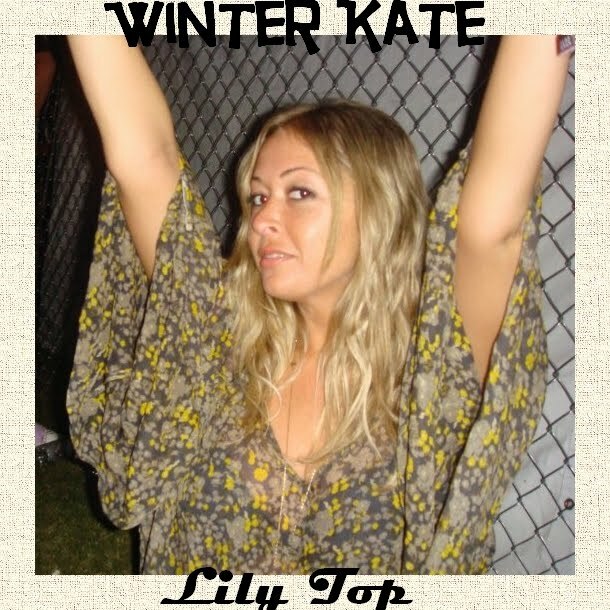 Nicole's friend Masha represented Winter Kate whilst partying at Coachella. Masha wore the Winter Kate 'Jasmine' wrap cardy and the 'Lily' top by Winter Kate. House of Harlow 1960 met rock chic whilst at Coachella as one fashionable girl wore a House of Harlow 1960 leather stations necklace and the black Cabochon Stone Bangle. 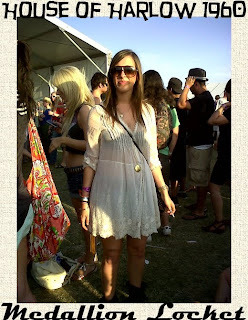 The House of Harlow medallion locket was a popular choice at the Coachella event! All images sourced & given permission from their respective owners. The Jasmine Cardigan is my favorite, I love the feather pattern !